When making a fashion statement, accessories are vital. 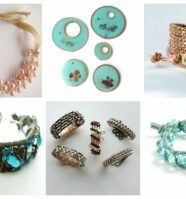 However, not everyone can pull off huge cocktail rings in every imaginable color – sometimes, you just want to keep it on the minimalist side. 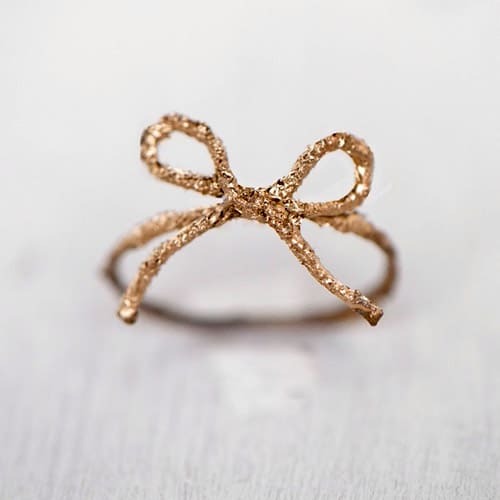 Queue simple DIY rings that you can easily make in less than an hour or even 5 minutes, but can greatly accentuate your whole look! 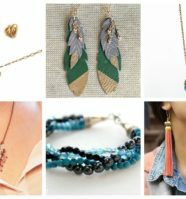 We’ve gathered here for you some of our favorites and ones that will definitely add to your DIY jewelry-making skills. 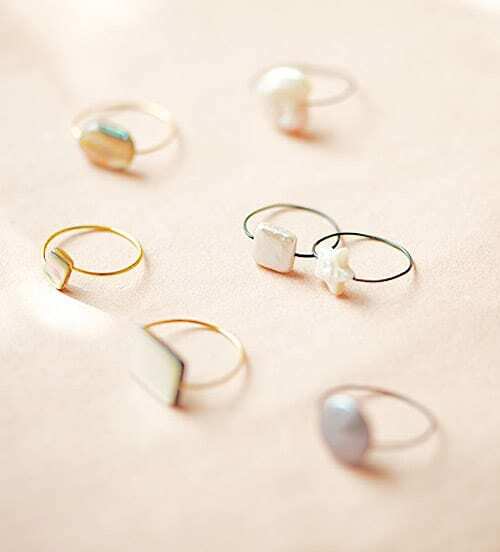 These simple adjustable stacking rings can be worn one at a time – or one on every finger – or as a whole stack of rings. A simple patina created by a boiled egg provides fabulously rustic color on the finished pieces. 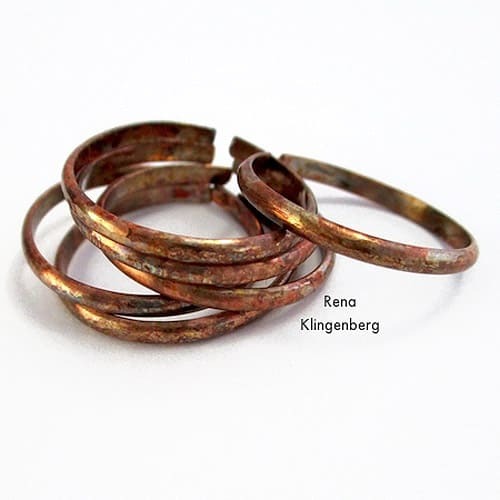 You’ll get an even more rustic look if you hammer-texture a couple of the rings and scatter them throughout the stack. 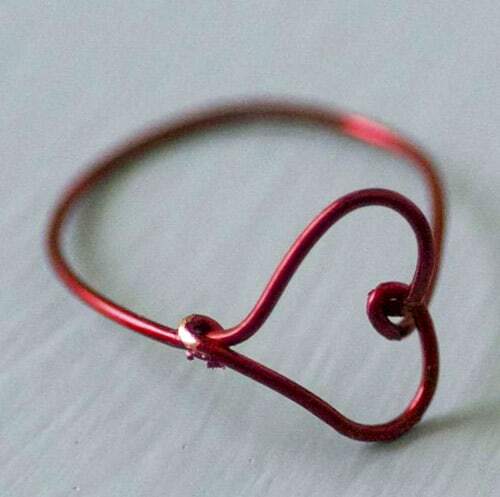 It’s a simple wire ring with a bead dangle. 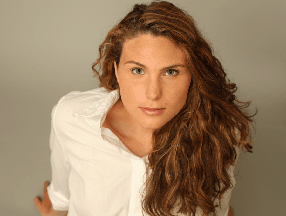 It’s simple and versatile – you can wear it on it’s own or part of a stack. 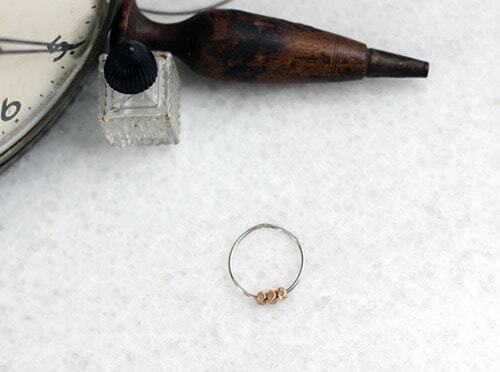 Using the basics of peyote stitch, you can make a ring! 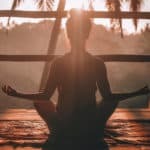 Once you get the hang of it you can make one in 15 minutes. Be careful… it’s addicting. 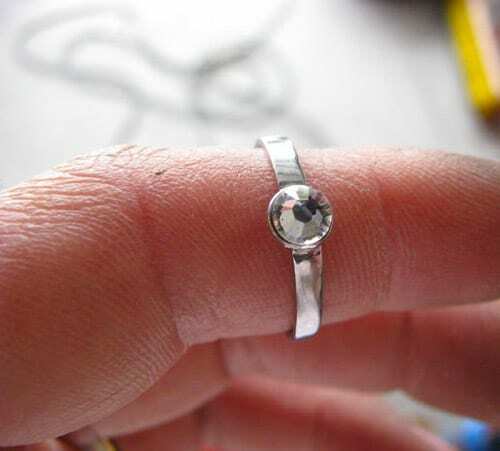 This simple ring is shaped and welded using a rotary tool. Welding may be a little difficult if you’ve never tried it before – but nothing that practice can’t improve. After which, you can easily whip these out in 20 mins. 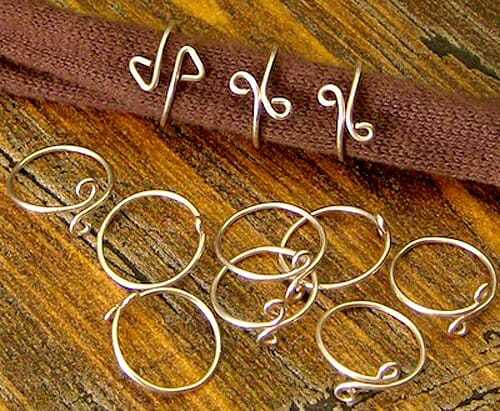 You can quickly make a ton of these from bits of wire left over from other projects, or from a pile of new wire pieces you cut to size. 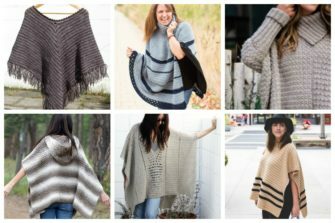 They’re comfortable, adjustable, and there are endless creative ways you can embellish this basic design. 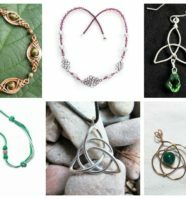 This is another great jewelry-making project for teenagers or pre-teens. 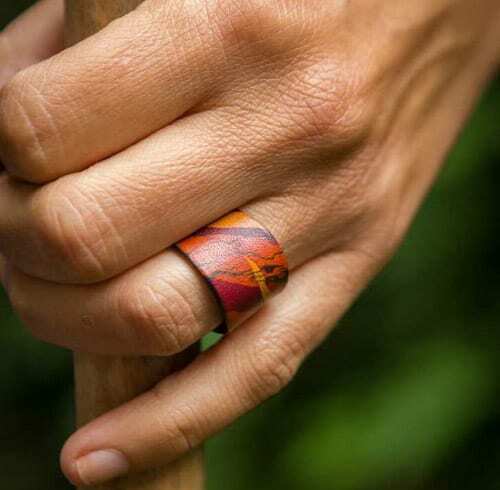 Leather rings are a great way to use up tiny pieces of leather, you could make hundreds of these. These were decorated with the batik technique. Here is a tutorial showing how to adhere the tape to the backside of the bezels and create resin filled pieces of wearable art. 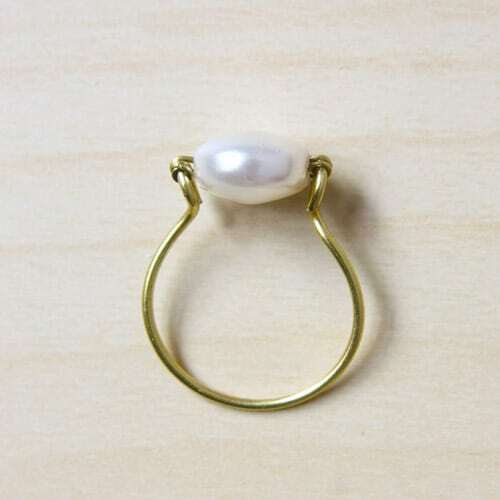 Adding a bead or a pearl is a great way to hide the endings of a wire ring and give the ring a bit more substance. 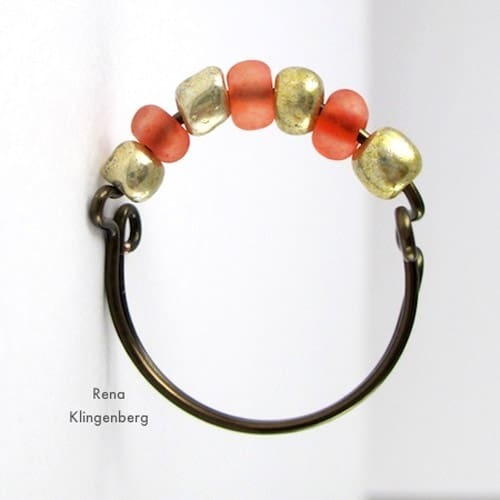 Choose seed beads in your favorite colors to accent this comfortable, adjustable wire ring. 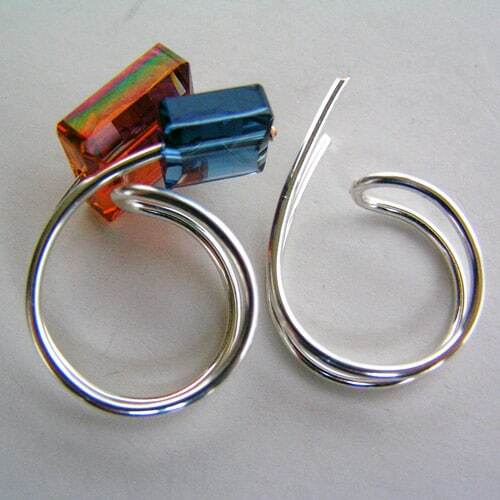 You can make a several of this quick ring design, to match every color in your wardrobe. Or fill a basket with them and place it next to your checkout stand, where your customers can “impulse purchase” a handful of them! 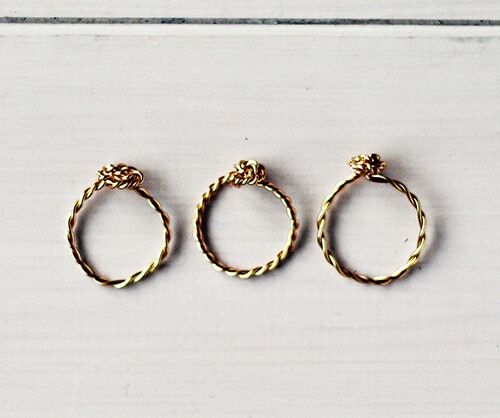 These rings are so easy to make you just might find yourself making more than you planned to. The great thing about these rings is that you make them to fit your finger so they fit perfectly and they are so versatile. 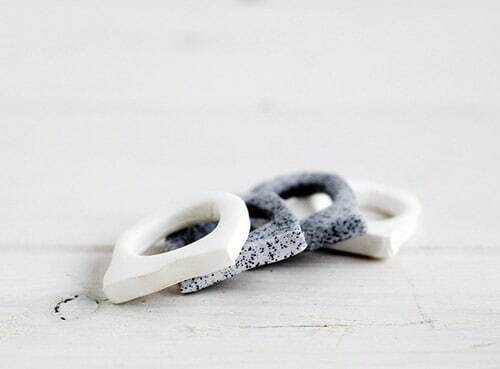 Another great thing about these rings is that if you lose them you can always make another with the leftover chain, so this would be the perfect solution. If you don’t count the interminable drying time, they really take 5 minutes to make and don’t require much supplies or skills. Hope you enjoy them! 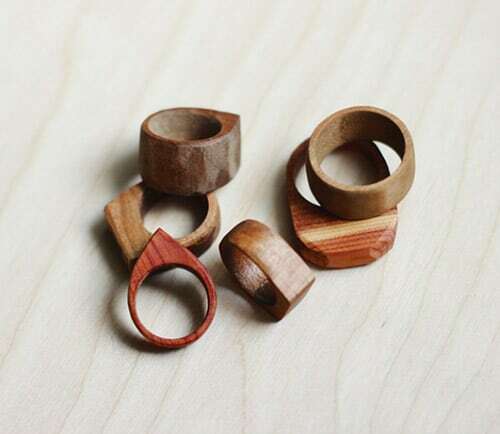 These wooden rings are such a fun handmade gift to give to friends (that they will actually like!) You will need certain tools though to make them – like a drill, scroll saw and belt sander. 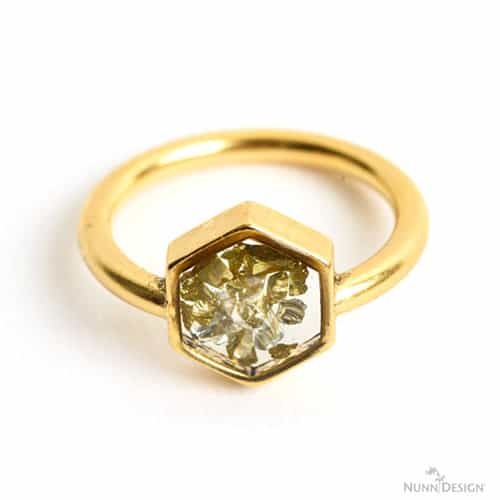 This ring is so light you won’t even feel it! Perfect for those warm, sultry days. 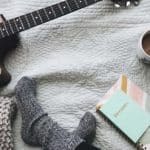 An easy project that’s simple and can be very minimalist. 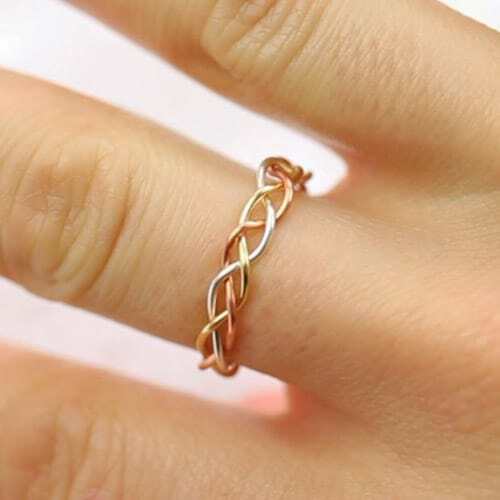 You can also create a bunch of these use them as stacking rings. These are honestly super easy to make! No kidding! 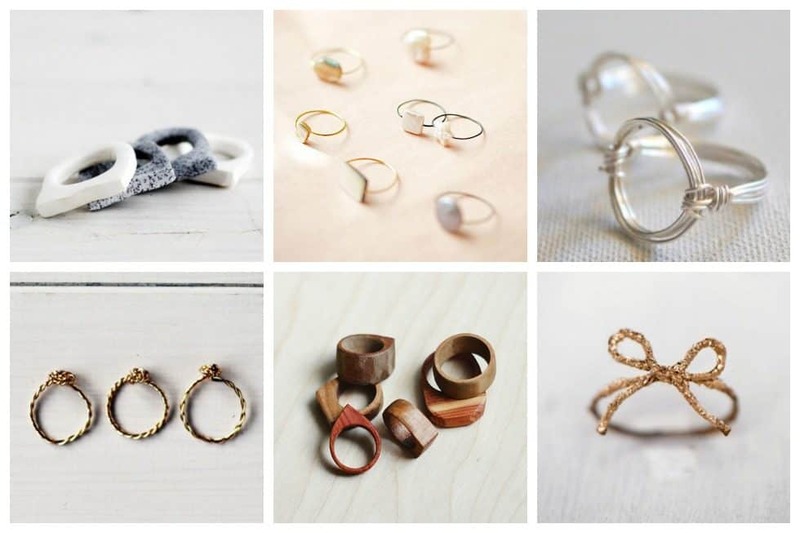 It takes no time to make these DIY rings, so there is no excuse not to make them. This unique ring is a lot of fun to make. It’s simple. It’s beautiful. It goes with everything. 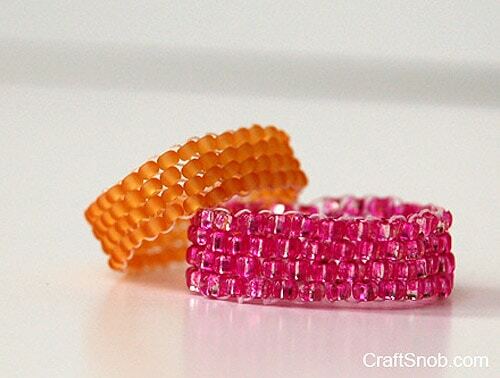 But if you want a little more sparkle and bling, you can add seed beads! 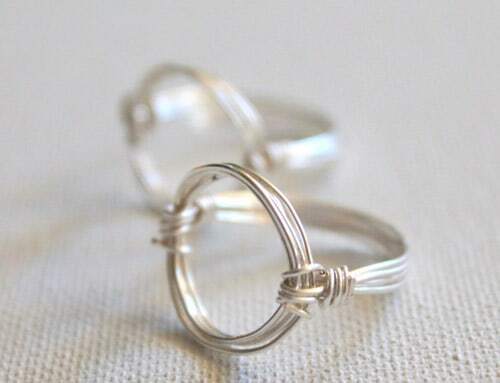 This simple crystal and wire ring pattern is easy enough for the beginner and is perfect for anyone who loves creative wire methods. 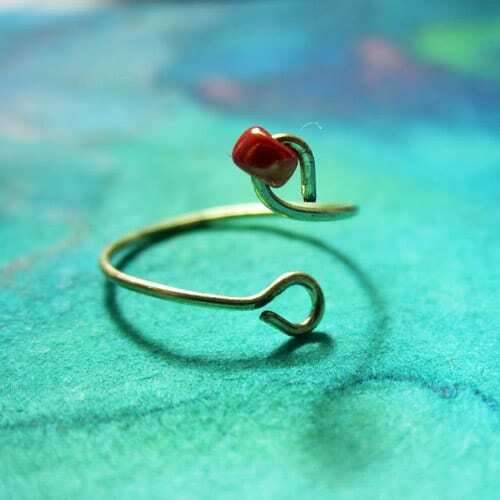 You can make this sweet ring in under 5 minutes! Or spend the day making a bunch of them to stack your hands or share with friends! I don’t know if you know about midi rings. You wear them above your knuckle, they’re super bomb! Faux granite is real and it’s ace! You can varnish them to create a really shiny surface or leave them natural. Both are great! 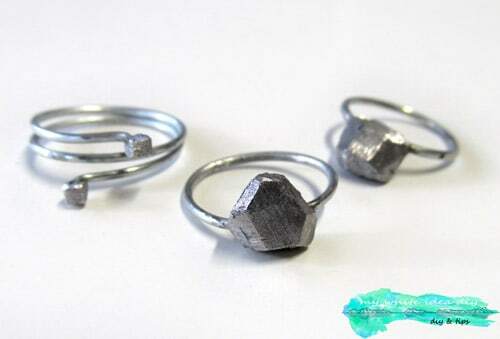 I think these rings would look fantastic dipped in gold. 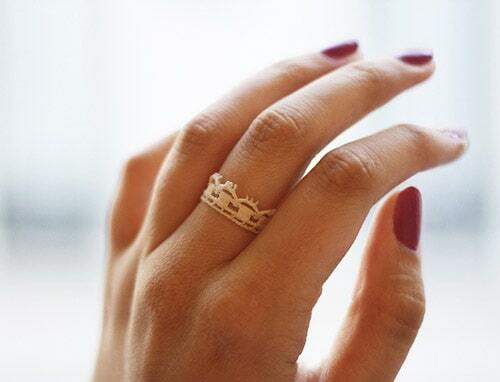 You’ll need wire, round nose and cutting pliers and a glue stick or lip balm in order to shape the ring to fit your finger. You can always use your finger too! This project can also be done with super glue if you don’t have means to solder. Ideas for the crystal can include a favorite color. Or you can be clever and use the color you get from mixing other colors. 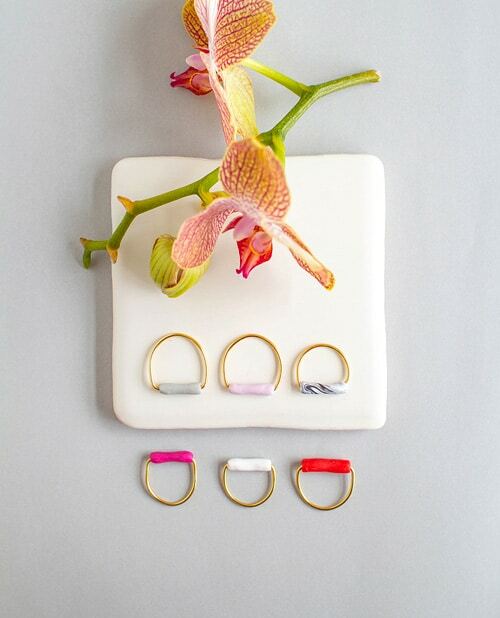 Don’t you just love these simple DIY rings? 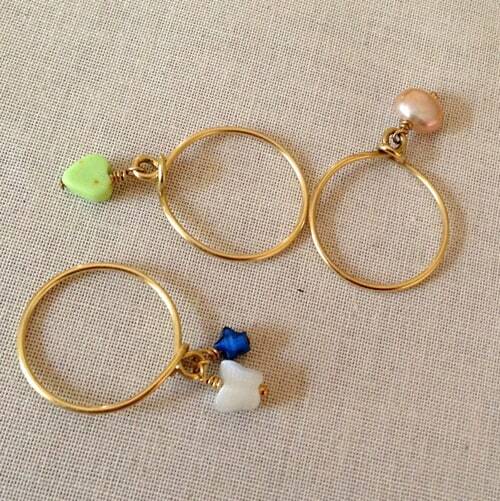 You can make hundreds of these and easily fill your jewelry box! Or, make them as heartfelt presents to loved ones and friends.